Real Deal Retirement » Blog Archive » Should You Factor Social Security Into Your Retirement Portfolio? Should you consider Social Security the equivalent of a bond and include an estimate of its value in your bond allocation? Or should you pretty much ignore Social Security when it comes to building your portfolio and simply create a combination of assets that gives you a good chance of generating however much income you need beyond what Social Security provides? There’s no single correct answer. 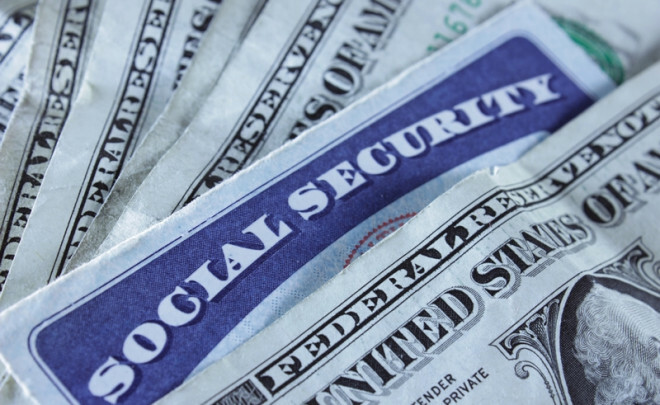 Social Security does work like a bond in that it provides steady income. So, theoretically at least, it does make sense to take it into account when creating a retirement portfolio. As a practical matter, though, you don’t want to apply this rationale too strictly, or else you could end up with a portfolio that’s much riskier than you prefer. Say you retire at age 66 and that you need real, or inflation-adjusted, income of $50,000 a year, $20,000 of which you’ll get from Social Security. Let’s also assume you have $750,000 in savings and that, to achieve a balance of long-term growth and short-term protection against market downturns, you plan to split your nest egg equally between stocks and bonds ($375,000 in stocks, $375,000 in bonds). If you consider Social Security nothing more than a $20,000 stream of income, then the question for you is how to get the rest of the income you’ll need—that other $30,000—from your $750,000 in savings. 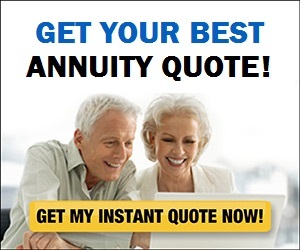 While there are no guarantees that you won’t outlive your money, if you go to a good tool like the Retirement Income Calculator in our Retirement Toolbox, plug in $750,000 in savings divided equally between stocks and bonds and assume a $30,000 initial withdrawal pegged to inflation to maintain purchasing power, you’ll find that there’s roughly an 80% chance your savings will last at least 30 years. But this approach neglects the notion that Social Security also acts somewhat like a big bond. You could argue that you really have more than $750,000 in savings. You have $750,000 in actual assets, plus a “Social Security bond” that pays an inflation-adjusted $20,000 a year. By failing to factor that Social Security bond into your calculations, one could say that you’re investing your $750,000 too cautiously, giving up return and extra retirement income to boot. Reasonable people can disagree about the value of that Social Security bond. But, just for the sake of this example, let’s say that the value of those Social Security payments is $500,000, a reasonable assumption for someone whose full retirement age for Social Security purposes is 66 and who begins collecting payments at that age. Viewed this way, you have the equivalent of $1,250,000 in assets: $750,000 in savings, and a $500,000 Social Security bond. So in order to get to an investment mix of 50% stocks and 50% bonds, you would have to put $625,000 of your actual savings into stocks and the remaining $125,000 into bonds. That $125,000, plus your $500,000 Social Security bond, would give you $625,000 in bonds overall. Combine that with your $625,000 in stocks, and you would effectively have a 50-50 stocks-bonds split for the $1,250,000 value of your actual savings plus your Social Security bond. But here’s the problem: If you consider only the actual assets you have access to and that you can buy and sell—namely, your $750,000 in savings—you’ve invested $625,000, or 83% of your $750,000, in stocks and $125,000, or 17% of $750,000 in bonds. In theory, having such a high percentage of your actual savings in stocks shouldn’t worry you, as you’ll have those Social Security payments coming in every month even if the market is plunging. In the real world, though, I think an allocation of 83% stocks-17% bonds would spook most retirees. After all, that blend would have lost about 30% during the financial crisis year of 2008. A more conservative 50-50 portfolio, by contrast, would have declined only half as much, or roughly 15%. I think this is a situation where you have to balance what may be ideal theoretically with what makes sense in your particular situation. If you’ve got enough resources—sizeable Social Security benefits, a generous pension, lots of home equity, etc—to sustain you even if a stock-market meltdown puts a big dent in your portfolio’s value, then perhaps you would be okay going with the higher stock allocation you would arrive at by factoring Social Security into the mix. Ditto if your portfolio is so large that even a sizeable loss won’t affect its ability to generate the income you need for life. But if including Social Security would leave you with a stock stake that would have you reaching for the Maalox every time the market heads south, then the higher allocation to stocks probably isn’t a good idea. You don’t want to put yourself in a position where you’ll high tail it out of stocks at the worst possible moment—that is, just after a meltdown. Similarly, if your nest egg is pretty much the only resource you can tap in the event of emergencies or large unanticipated expenses, then you’ll probably want to err more or the side of safety. Social Security may act like a bond theoretically. But you can’t sell off a piece of it if you need a chunk of cash in a hurry.